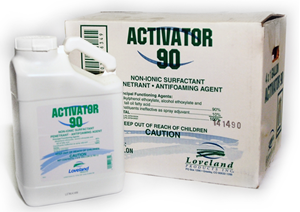 Activator 90 Non-ionic Surfactant is a low foaming, non-ionic type spreader adjuvant. Activator 90 provides quick wetting, more uniform distribution, and increases retention of spray by reducing surface tension of the spray droplets. 90% active, non-ionic formulation that is biodegradable and non-flammable. The high HLB level of Activator 90 is highly water soluble and won't gel in your spray tank. 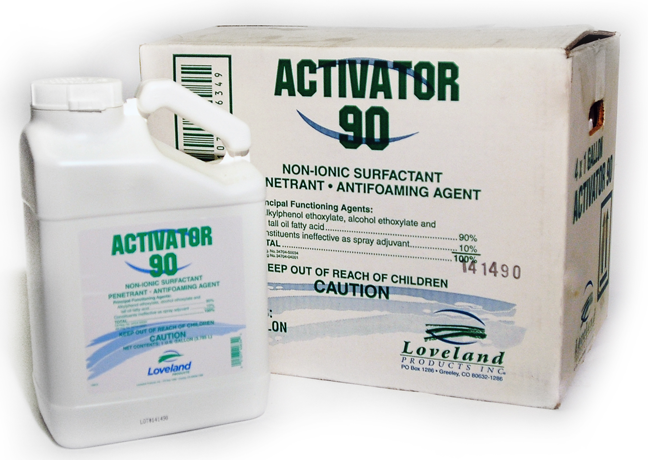 The unique blend of ingredients in Activator 90 break through natural barriers that affect pesticide performance. Free Shipping, Sold Individually, Case Qty. = 12 x 1 Qt. Free Shipping, Sold Individually, Case Qty. = 4 x 1 Gal.